I was part of a rainbow swap in which 6 of us were each assigned a color. My color was green and boy was it a challenge. I don’t usually create using green as my main color. I tend to lean towards pinks or blues so this was quiet the challenge for me. 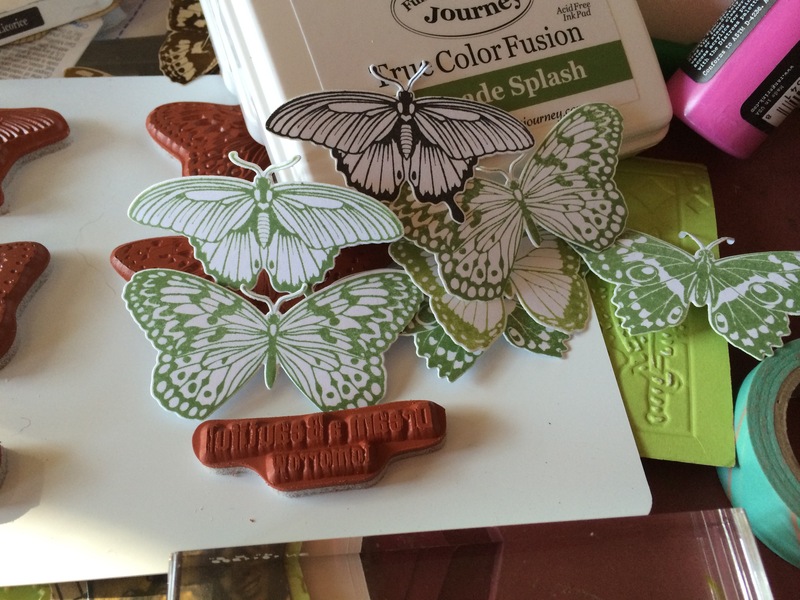 I had just recently purchased a set of butterfly stamps with matching dies from Fun Stampers Journey. I fell in love with the detail of the butterflies and knew I wanted to use them ASAP!!! 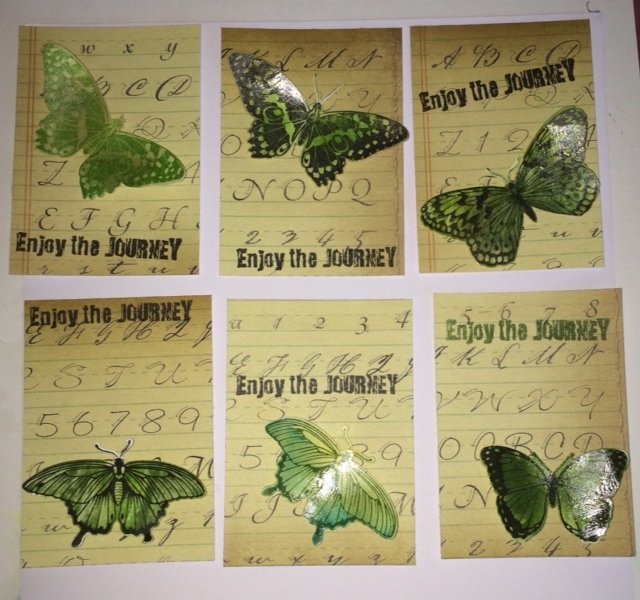 So I decided I would create green butterflies and use them for my ATC set. I grabbed some Whip Cream card stock and started to stamp my images in Black Licorice and Limeade Splash. I then secured the die cuts to the paper using washi tape for quick and easy removal. Here are all of my beautiful butterflies cut out so crisp and perfectly. I don’t mind fussy cutting but when a die set is available I make use of it! 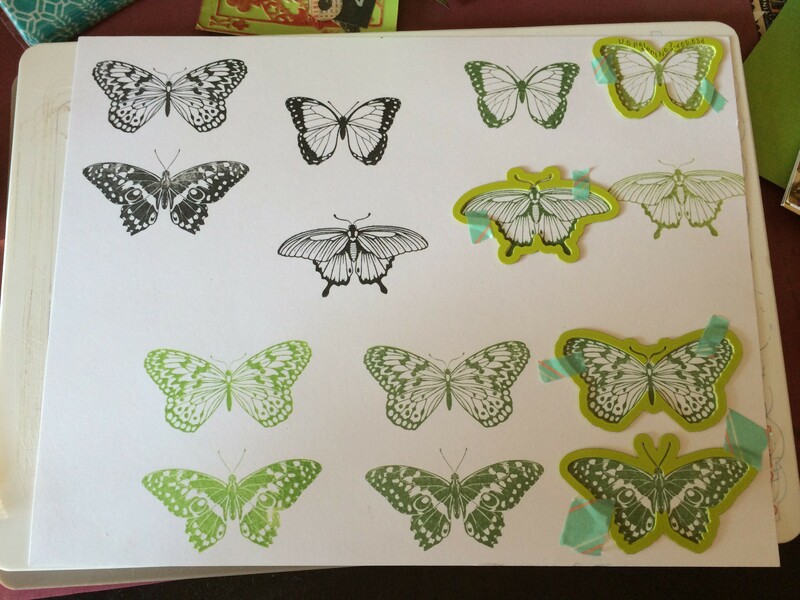 So I used a background paper from a paper pack I had and decided to stamp and cut out butterflies for my swap. After applying Journey Glaze onto my butterflies I applied them to my ATC backgrounds with pop dots and here is the final result. Hope you like them as much as I did. The stamp set I used is called Enjoy the Journey, Item#SS-0035. The coordinating die cut set is called Butterflies and it is item #DI-0023. 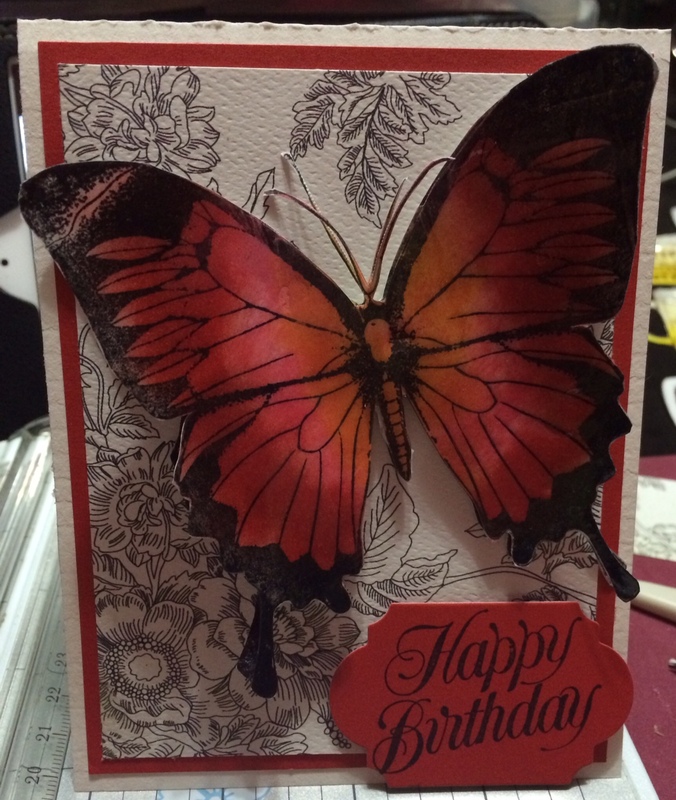 I wanted to share a couple of photos of a birthday card I made using Authentique paper and a beautiful butterfly stamp by Fun Stampers Journey. 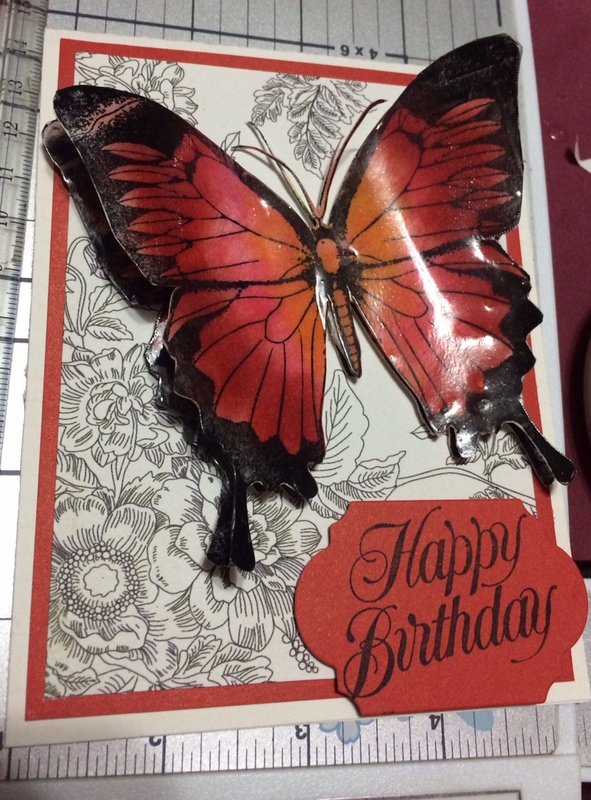 I used whip cream and candy apple card stock as layers for the card along with a sheet of Authentique paper. I stamped the butterly image twice. I used the first image as the first layer and the second layer I curled and popped up for dimension. I colored the butterfly using candy apple and tangerine fusion. I topped the butterfly with a layer of Journey Glaze. I stamped the Happy Birthday sentiment on the candy apple cut out. Fun Stampers Journey stamp set and Authentique paper.